Accton’s strength in key technologies has driven its business for the last 30 years. With a significant part of annual revenues reinvested back into research and development, Accton maintains its leadership in the design and manufacturing of open network infrastructure and IP-centric solutions. Accton’s large team of dedicated engineers spread across Taiwan, China, America, and Europe keep pace with the rapidly changing industry trends and provide the driving force for innovation and the development of new technologies. This motivation and passion has enabled Accton to build a proven track record in supplying cost-effective ODM solutions to Tier-1 vendors worldwide. In addition, Accton’s long-term global partnerships and strategic industry relationships have reduced product development cycles and led to a shorter time to market. 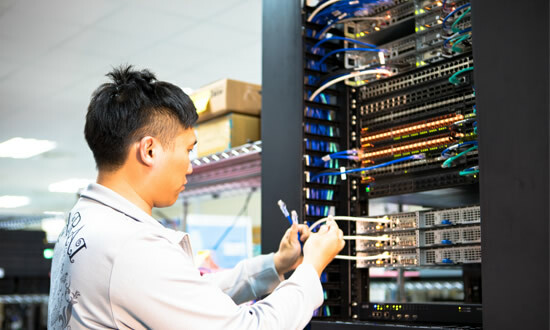 As Accton looks toward the future of next-generation networks, its highly-trained and experienced engineers will always strive to integrate the very latest technologies into its campus, carrier access, and cloud data center solutions and products.